Here are the stories from just some of the mothers, fathers, care-givers and children who have benefitted from ColaLife’s Kit Yamoyo – “Kit of Life”. Brenda Mudenda is 25 and lives in Ndindi Village of Kalomo district. She has four children and the last one, Nchimunya, is seven months old. In May, 2013, the child had diarrhoea for three days. Her worried mother and father started giving the child traditional medicine, hoping that the child would be healed. Instead they found that Nchimunya got no better – in fact, her situation worsened. 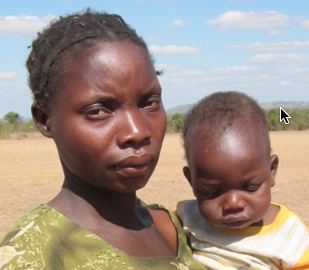 Brenda and her husband then decided to take the child to their nearest health centre. There, they could not get any help as there were no health personnel at the centre at that time. By this time, Nchimunya would not even take breast milk. Realizing that the situation was getting dangerous, they went to Bbilili rural health centre – over 40 km away. The child was admitted. The staff recommended treatment with Kit Yamoyo, continuing for five days. By the third day of treatment, the child had greatly improved and on fifth day was discharged from the clinic. 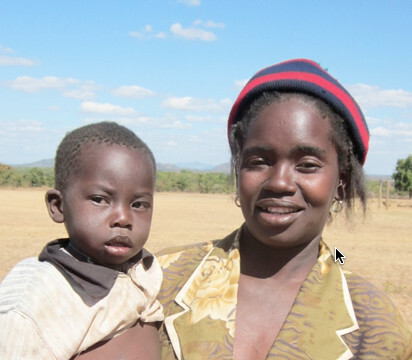 Melina Phiri lives in Chikwa Village of Katete District and has four children. Her son Yepulani is 3 years old. Yepulani suffered from diarrhoea for a long time. Melina says it can last for 2 weeks, stopping but then starting again after 2 days. Melina says “I was advised to use Kit Yamoyo which I accessed using a voucher. I only had to give my child 1 sachet of ORS, but I did continue for 10 days giving the Zinc tablets and my child got better. 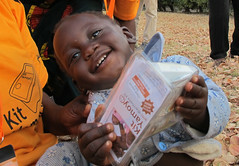 She added, “I am encouraging my fellow mothers to use Kit Yamoyo: I have seen it’s good for children”. 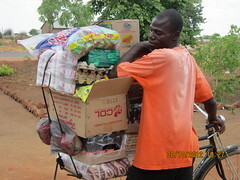 Tilingenji Phiri is 28 and lives in Kondani Village. She has 6 children. She told us that in January 2013 her sixth child named Kondani Khoma who is 1 year 6 months had diarrhoea. She observed him for 2 days but there was no change or improvement. “I used Kit Yamoyo which I exchanged for a voucher. It was the first time I had tried this medicine. I only used 1 sachet of ORS but I was advised to use 10 zinc tablets. 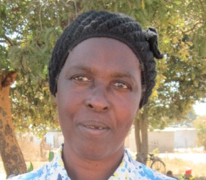 Tasila Phiri lives in Mponda village. She is 25 years old and has 3 children. 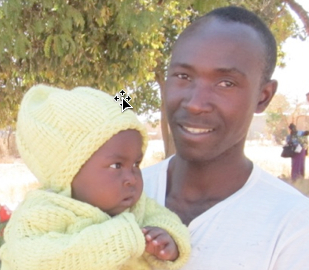 Her daughter Christina Phiri, who is 9 months old, suffered from diarrhoea in March 2013. Tasila had a voucher to buy Kit Yamoyo, and when her child got sick, she used it straight away, before the illness became serious. Lasiwe Phiri has four children. In February her fourth child Peter, who was 16 months, had diarrhoea for a week. She had obtained a Kit Yamoyo from the shop, so she gave Peter some ORS. As soon as the diarrhoea stopped, she thought it was safe to stop the medicine. But Peter soon started to have diarrhoea again. Ennie Muzamba is 56 years old and has a five months old grandchild named Mutinta. 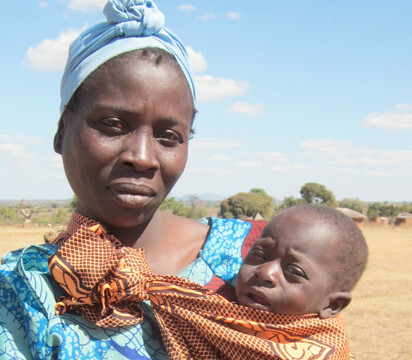 Two weeks ago, Ennie was away from the village – she had brought one of her daughters to Mubanga Clinic to give birth. Whilst waiting for her new grandchild to be born, she received a message that baby Mutinta was was sick with diarrhoea back at home, and had been taken to the traditional healer for treatment. The child was with a traditional healer for five days but was not getting any better. Ennie received another worrying message: baby Mutinta’s condition had worsened. 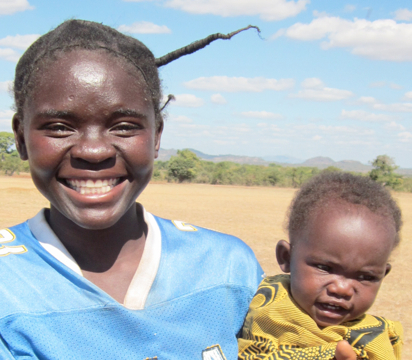 Ennie decided she had to leave her daughter and travel back home to bring the child to the clinic. When she arrived back at the clinic, the child was hospitalised. The health personnel prescribed Kit Yamoyo and told her to buy one immediately – as they didn’t have medicine in the clinic. She bought Kit Yamoyo for cash and the child started receiving treatment. Just a day or two later, Mutinta was much better, was discharged and sent back home. Thanks to the Keepers Zambia Foundation staff in Katete and Kalomo for collecting these stories. And finally, here’s an indication of the impact ColaLife is having on the work at the local health centres. Gladys Imasiku is the Officer in Charge of Kalonda Rural Health Centre and here she talks to Simon Berry about the impact the Kit Yamoyo has had on mothers reporting to the health centre with children with diarrhoea.